7:00 Woke up after 8 hours sleep. 8:00 Had an apple and a glass of water. 8:15 Me and my husband took our daughter to school by car, because we had a meeting in the city. 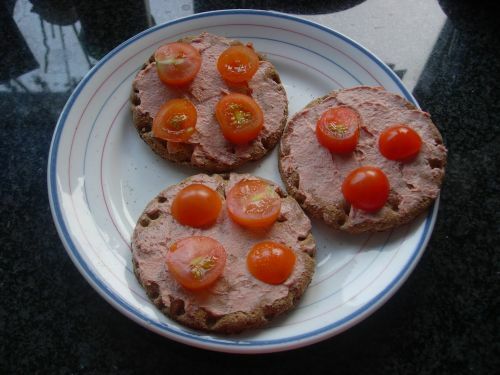 11:00 Breakfast: 3 Swedish crispbreads with liver pate and cherry tomatoes. 11:30 Drove back to school to pick up my daughter, but she wanted to play with a friend, so instead me and my husband did the groceries. 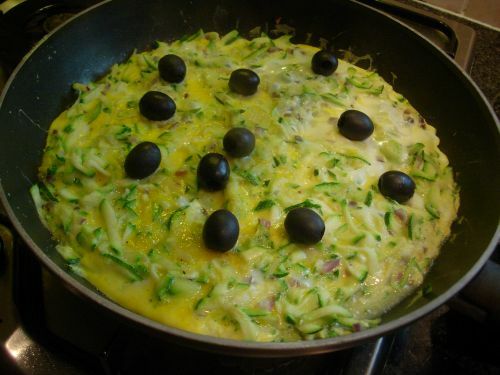 13:20 Made lunch for me and my husband: Frittata with zucchini and olives. 17:30 Berry, a friend of my husband came over for dinner. 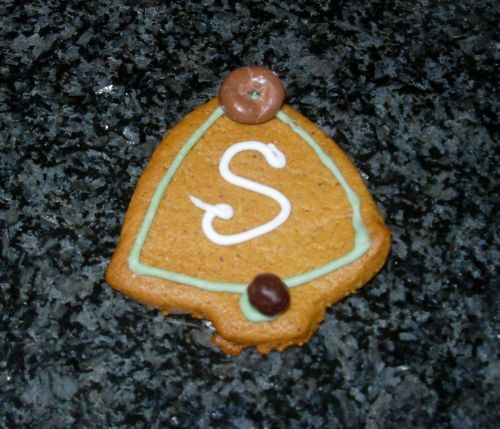 So first we had a gingerbread cookie. Today I had a lot of water and 2 cups of tea. So, how did this challenge go? Let’s look at my goals! Start exercising again. – FAIL! 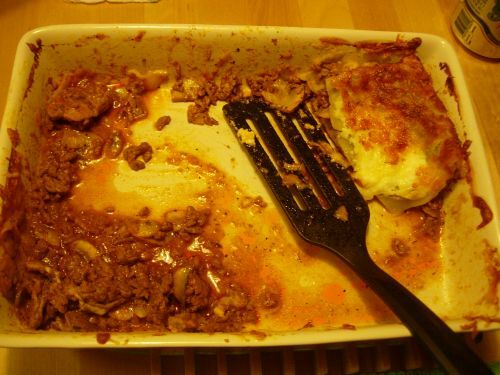 Stop eating late at night. – Only ONCE!! Success! Go to bed on time to achieve 8 hours sleep. – I struggle with this one, so I will keep it as a goal. This entry was posted in Challenge and tagged 8 hours of sleep, apple, Berry, black olives, breakfast, cherry tomatoes, daughter, dinner, fail, friend, frittata, gingerbread cookie, groceries, husband, lasagna, liver pate, lunch, olives, snack, struggle, success, Swedish crispbread, tea, water, zucchini. Bookmark the permalink.